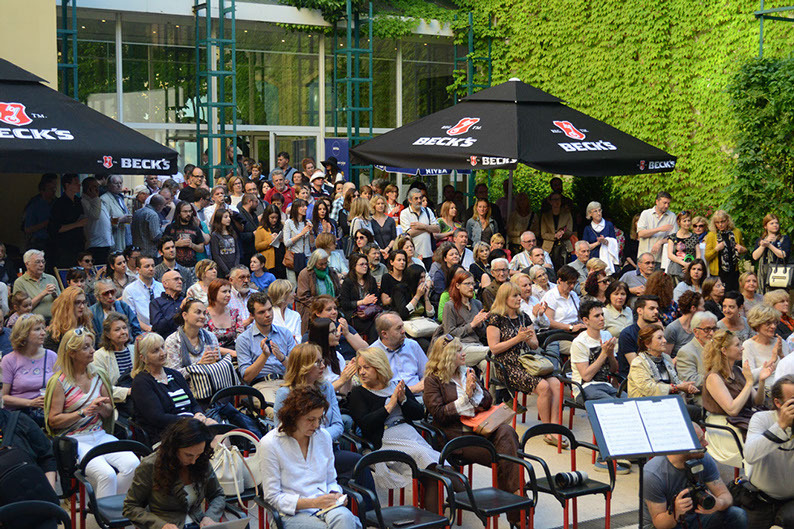 1st edition of Zagreb Book Festival was successfully held in Zagreb's Museum of Arts and Crafts. The literary and cultural event Zagreb Book Festival was formed as a celebration of the written word and its particular power to enrich the human mind. Our mission is, at this time of growth of the new media, to raise interest in reading, writing and literary communication, but not excluding intermediality of modern artistic expression. We want to put strong emphasis on children's rights and the integration of young people in the cultural life within the society. Considering the important historical event for Croatia, recent Croatian accession to the European Union, we believe that our obligation is to spread cultural space, to enrich our society that deserves cultural superstructure for making a difference in one's life. We want to make Sweden's literature and culture the focal point in more than 40 events at the Festival this year. The aim of the Festival is to increase the book audience and to promote reading and books which will be boosted through literary programs with famous guest authors, best national selection of discount books, as well as the gastronomic and musical events.